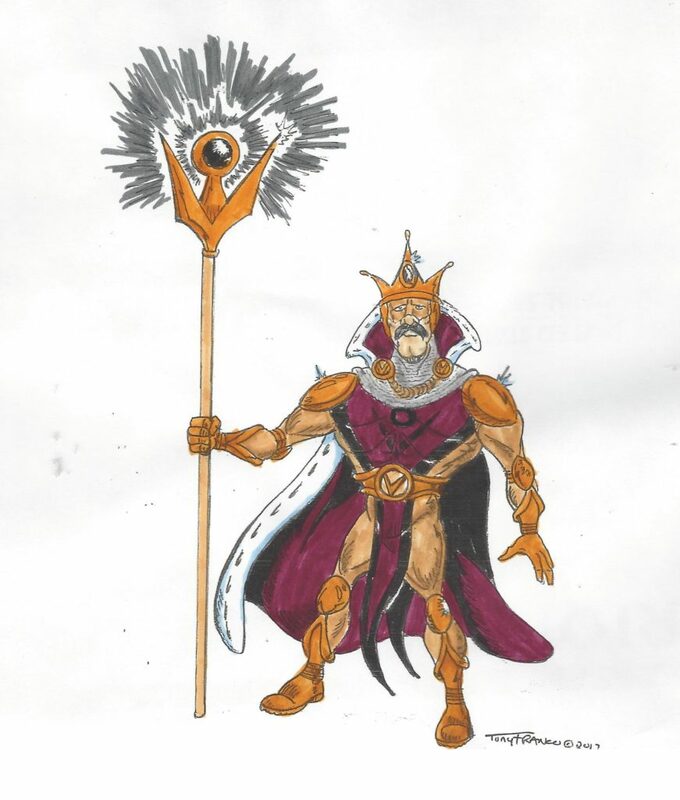 “The Overseer” is a persona created by noted academician, Dr. Deblin Neechy, an introspective man of superior intellect with a fascination for human nature. His fascination, however, turned to obsession when Neechy concluded that human nature is inherently weak and needed a strong hand for guidence, namely his! Neechy seemed to “disappear,” leaving the country to use his family fortune to build a private laboratory where he could continue his research undisturbed, collecting unusual animals for experimentation. Neechy thought it fitting to use a medieval motif for his laboratory, since he envisioned himself a feudal lord overseeing a global serdom.